Post 1 - How to choose your best program | No Mas Coach! Welcome to the first post of many in our series, Miles and Points Beginner’s Guide. Over the next several weeks we’ll walk you through earning miles and points, spending miles and points, accumulating them, and some great ways to find deals out there. Choosing the best program for you can be a pretty tough decision, for the simple fact that there are lots of programs out there. Do you choose Southwest’s Rapid Rewards or American’s AAdvantage? Delta’s Skymiles or United’s Mileage Plus (don’t get it confused with Alaska’s Mileage Plan…). There are lots of options for you to choose from, and it can get confusing. For what it’s worth, I’m a member of all of them, because you never know when you might be flying on their planes, and I’d rather accumulate miles than not accumulate anything! For most, the primary factor is location based. Does it make sense for your program to be with Alaska Airlines if you live in Cleveland? Probably not, considering that Cleveland isn’t served by Alaska. Conversely, does it make sense to have Jetblue as your airline of choice if you live in Seattle? The great part about Southwest is that they don’t operate a hub/spoke system, so Southwest might serve a lot of flights in your market or not a lot. With that said… just because you live in one of these cities doesn’t necessarily mean that you should choose that airline; it usually just makes more sense. For example, when we lived in Miami (an American Airlines hub) I was a staunch Delta supporter. I used to live in Michigan where Delta rules and had elite status for over a decade. When we moved to Seattle last year I switched up and gave my loyalty to Alaska, for reasons which will come to light as the posts go on, but most importantly because of the partners and number of connections for us out of Seattle. 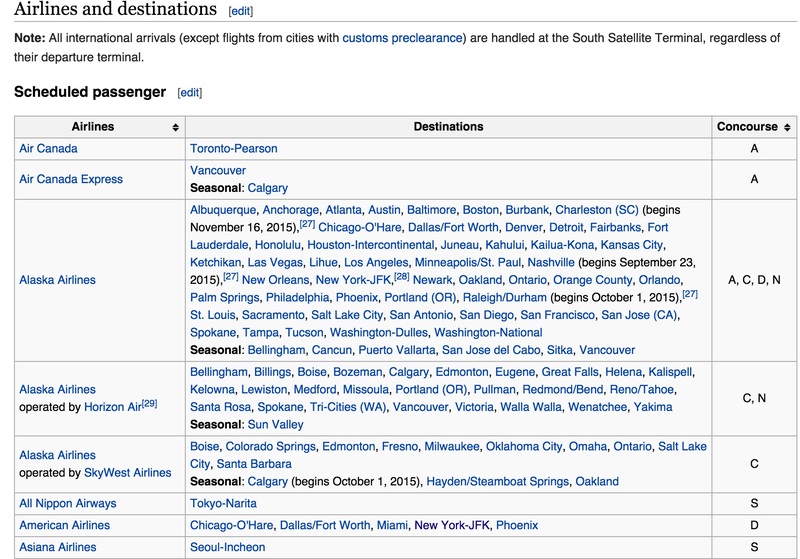 A great resource to find which airlines service your local city is with wikipedia. If you search for your airport on wikipedia, you’ll find a listing of all the airlines that service it, and where they go. That’s one surefire way to make sure that you have a basic idea of which airlines fly out of your area. Mind you, airlines are always adding new routes, but its a good place to start. When you’re thinking about redeeming your miles and points for free flights, which kind of flights do you want to redeem? If you’re thinking about ONLY domestic flights then by all means look into JetBlue or Southwest (it’s going to be difficult to make it to Cape Town on Southwest points) but if you’re looking for those redemption options that get you to far flung places that requires passports, then think about one of the major airlines. American, Delta, and United all are part of major alliances that include dozens of international carriers from all over the globe. 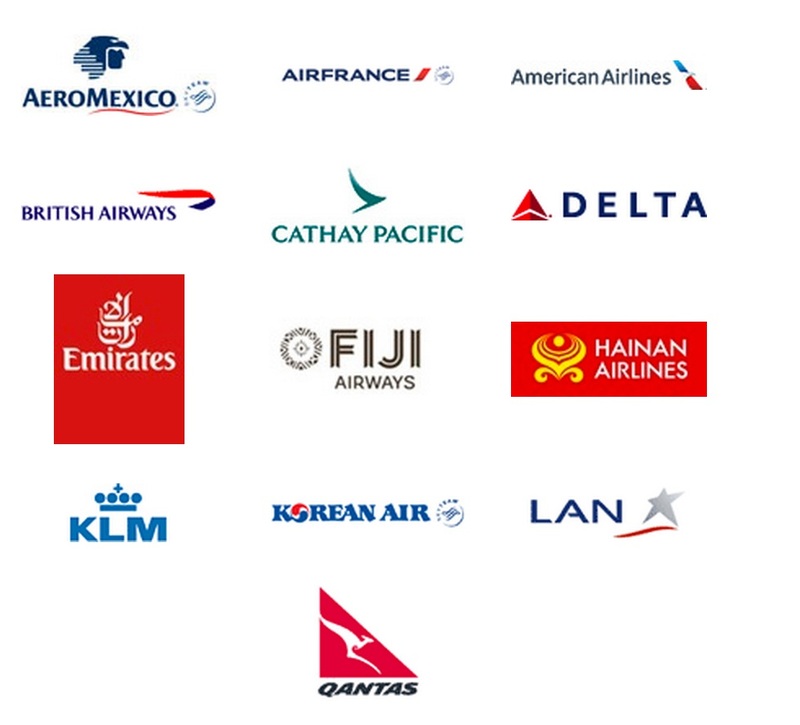 American Airlines belongs to The OneWorld Alliance which includes such airlines as British Airways, Cathay Pacific, Qantas, and Japan Airlines. Delta is the flagship carrier of The SkyTeam Alliance which includes such partners as KLM, Air France, and Korean Air. United is part of The Star Alliance with such airlines as Lufthansa, Air Canada, Air New Zealand, and Singapore Airlines. Alaska is one of those outlier airlines that isn’t part of a major alliance, but has availed themselves to many different airlines for both redemption and earning. So ask yourself these two major questions. Where do you live? Where do you want to go? Once you have those two major questions answered, use resources like Wikipedia to find out which airlines work best out of your airport, and then get signed up! Like I mentioned above, both Ben and I are members of many airline frequent traveler programs, because we like to have options when we travel. But as always, if you can stick to one and make it your favorite, that’s usually the best options for someone just starting out.